As creatives our worth is measured by the work we produce. Sadly, the work we do in our day jobs is often stifled by restricted briefs, confused clients, and contradicting opinions. It saps our motivation, dampens our creativity and ruins our career prospects. This is the frustrating reality. But don’t let it get you down.. Through creating work that we’re actually passionate about, side projects give us a chance to demonstrate our true capabilities. A chance to do work without anybody questioning our concept or f**king with our fonts. In the creative community, side projects are quickly becoming the new CV. The bosses want to see what you’re passionate about, and what you create in your spare time. And because sticking with a side project is bloody tough..we‘ve created a community that helps you to progress your project, meet the right people and get your work noticed. Welcome to the side project. A nervous Caomhán & Sam meet for the first time on their first day of school. The two boys build a friendship over the entirety of their schooling life. Caomhán & Sam try to make college work. It doesn't work out. Caomhán’s entrepreneurial skills take him around the world to China, Boston and New York. Meanwhile, back home, Sam successfully builds himself a career in advertising, ending up as Content Lead in Boys + Girls. With Caomhán’s latest venture landing him in Sam’s world of advertising, the two lads meet sporadically with the goal of working together. They have a couple of ideas, but they keep fizzling out with other commitments getting in the way. Caomhán & Sam decide to meet one morning a week until they get something off the ground. Caomhán & Sam continue to meet every week. Eventually, this accountability pays off, as the concept of “the side project” is born. A nervous Caomhán & Sam hold two trial runs of the “the side project breakfast series”. They fill Charlotte Quay twice with various friends and workmates, and it's a success. the side project is officially launched. The guys host 8 Saturday morning breakfasts in Charlotte Quay, Coppinger Row and Coppa Cafe. 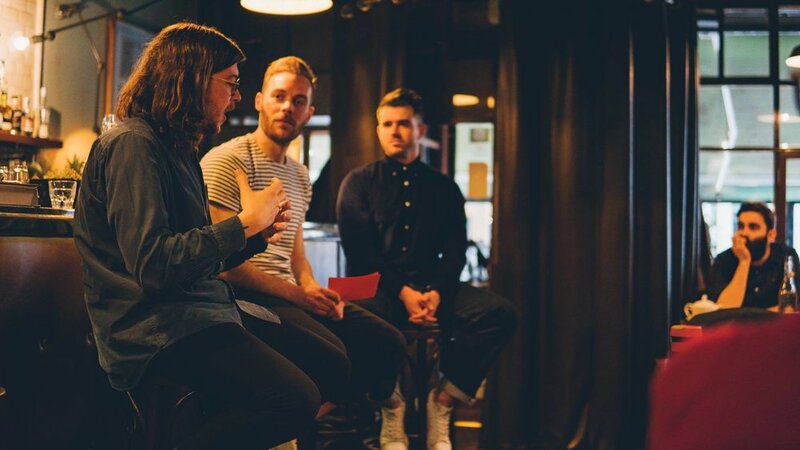 They're attended each week by folks from the creative industry, with guest speakers including Maser, Jim Fitzpatrick, Aoife Dooley, Tony Cantwell & Vanessa Power. 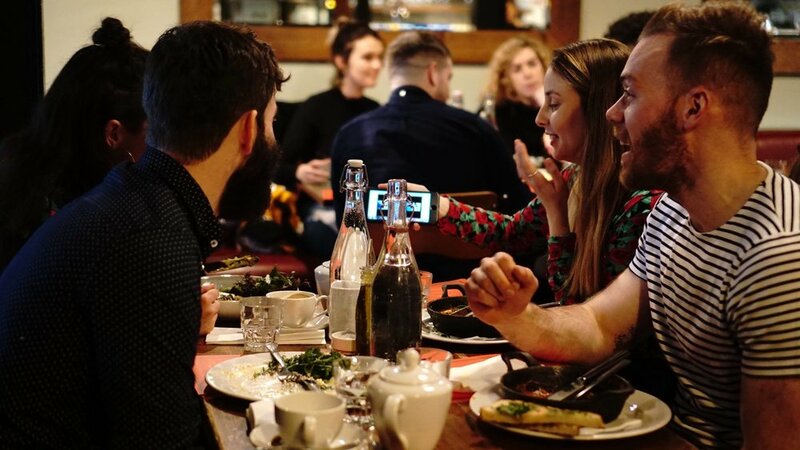 The first “side project supper club” takes place in Nutbutter, which introduces a new Speed-Dating format to 25 eager creative types. The side project network is launched, matching creatives with someone new each month for a coffee or breakfast meeting, creating a whole new creative community in the city. Caomhán & Sam launch the side project podcast on the Headstuff network, with the aim to spread the message even further.